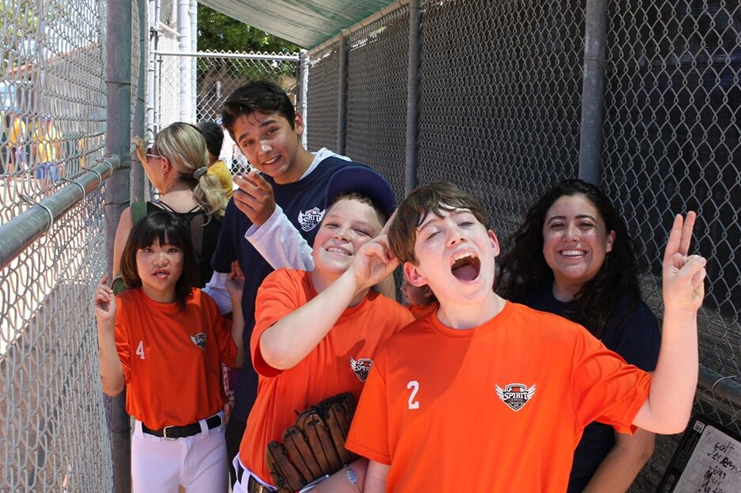 On May 20th, Spirit League fans “packed the bleachers” to cheer on our amazing athletes for the 2nd Annual Hit-a-thon. Each athlete was given the opportunity to make 10 hits before running the bases for a homerun with lots of cheering from the stands. Athletes raised money for the League by having sponsors for their hits. These funds went towards the purchase of equipment, funding athlete scholarships and other operating expenses. We are excited to announce that the athletes have raised nearly $3,000.We are so proud of them and grateful to their families and supporters. A huge thanks to our many volunteer coaches and mentors for training our athletes and making the day run so smooth. Check out our Hit-a-thon album here. Each age division concluded with a fantastic lunch for athletes and their guests provided by Tiaan Mosconi. Tiaan planned the entire lunch, secured funding, purchased necessary items, gathered volunteers, cooked the food then served it up; all as part of his Eagle Scout project. Everyone truly loved the delicious food. On behalf of Spirit League, our athletes and families, thank you Tiaan for your hard work and support of Spirit League. We wish you all the best on your Eagle Scout efforts.